Hap Hap Happy Birthday Little Chickey!!!! She turns 25 today. In her honor, let's chat about ice cream cake. A few years ago, Chickey upped the birthday desert game by making these cupcakes for me. 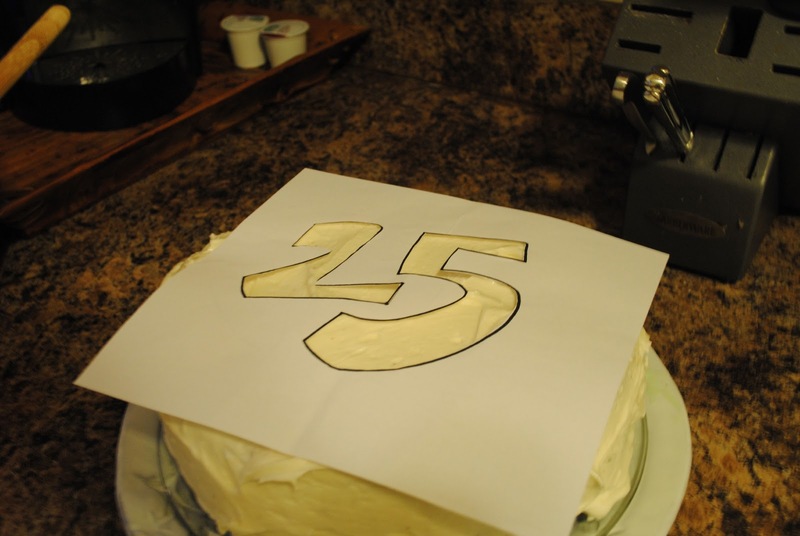 So why not return the favor for an occasion oh so momentous as the big 2-5? And there was also dinner at Bistro which is another oh so momentous occasion, one worthy of ice cream cakes and the heart effect. But I digress. Back to the ice cream cake. 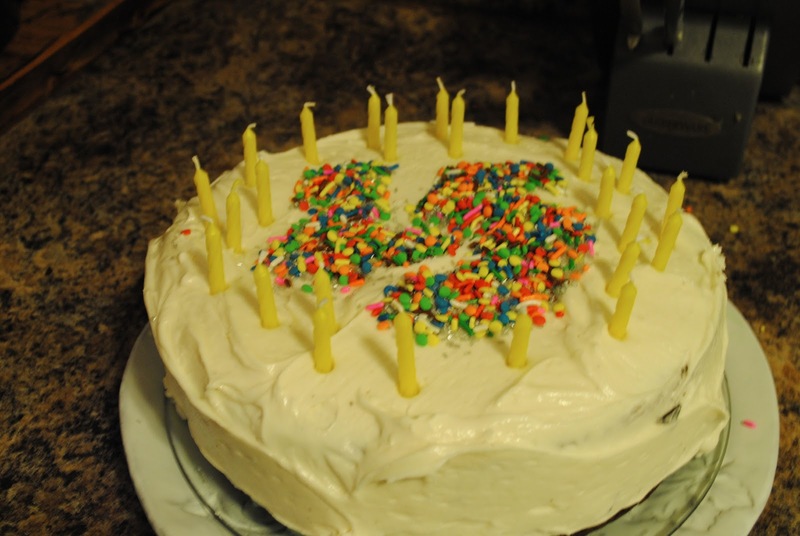 When I started chatting with Chickey about her birthday dessert, she thought about it for a bit and then asked if it was possible for an ice cream cake to happen. Me not being one to shy away from a baking challenge said heck yes. 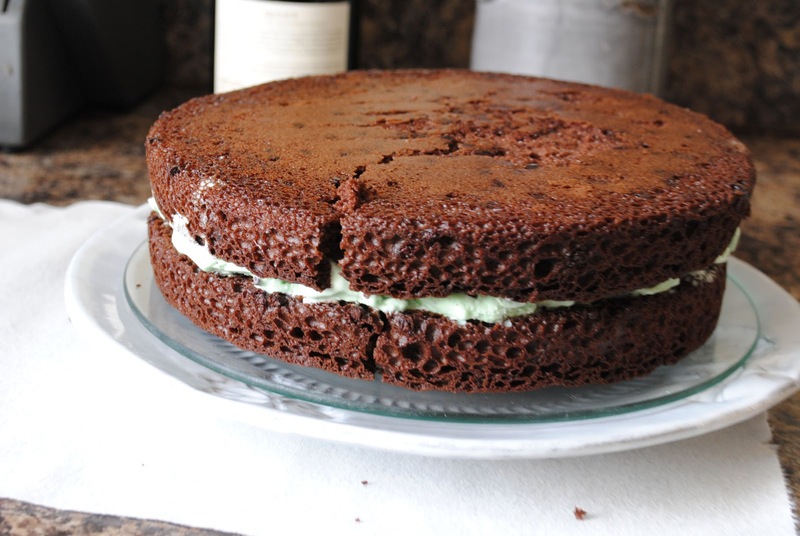 The baking of this cake is not complicated. In fact it's box cake. 'Tis the building of this cake that gets a little hairy. But don't worry. There are pictures. The first thing we need for this cake making party is a cake. I used a boxed cake. If you're extra ambitious, go on and make one for yourself. 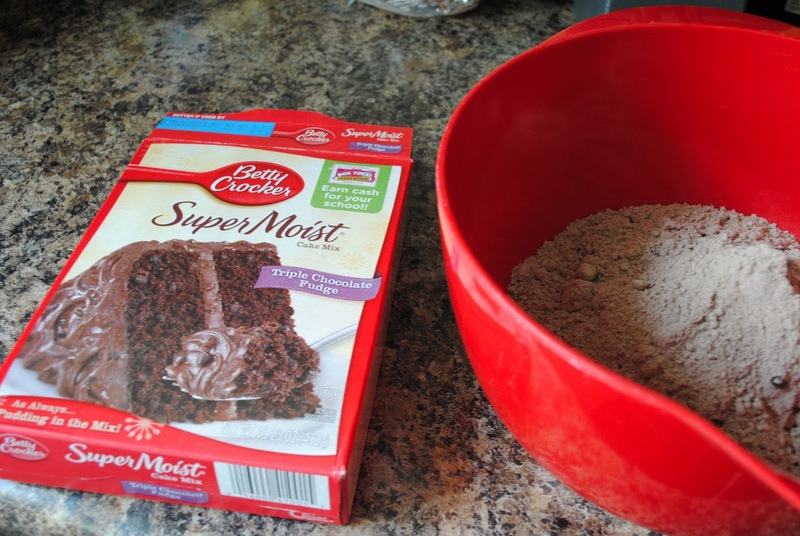 I've found that a box cake tastes better than my homemade cake and creates much less of a mess....so there you go. 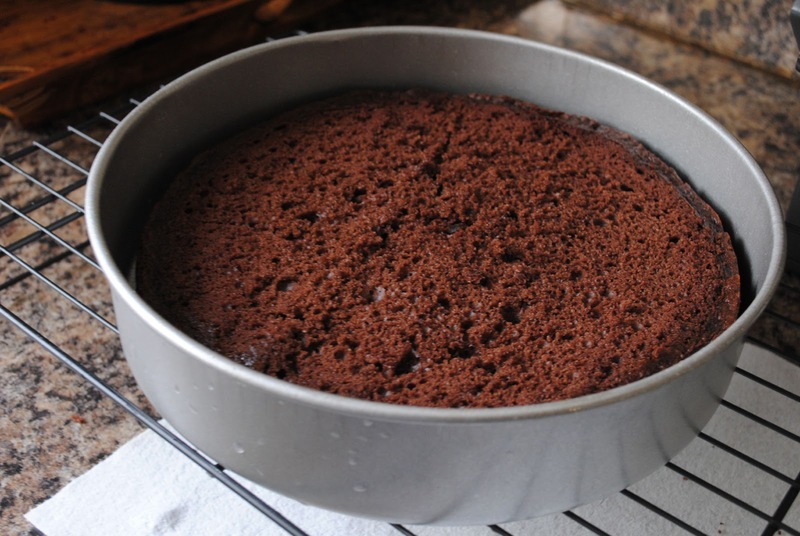 So whip up your cake and pour it into your cake pans. I went the way of round, you could do whatever. You do, however, want to make sure that whatever cake direction you go you can have at least layers of cake. Also, make sure that you spray / flour / grease your pans real well so that you can get your cakes in and out with minimal stress. Soooo. 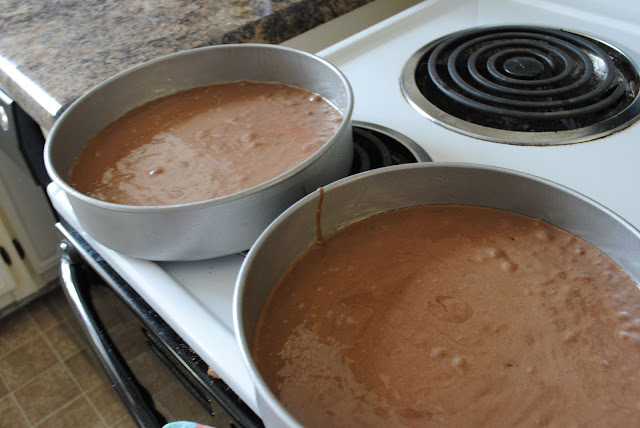 Bake them up, let them cool on a baking rack, use a big 'ole knife to make them flat on top if they aren't already. 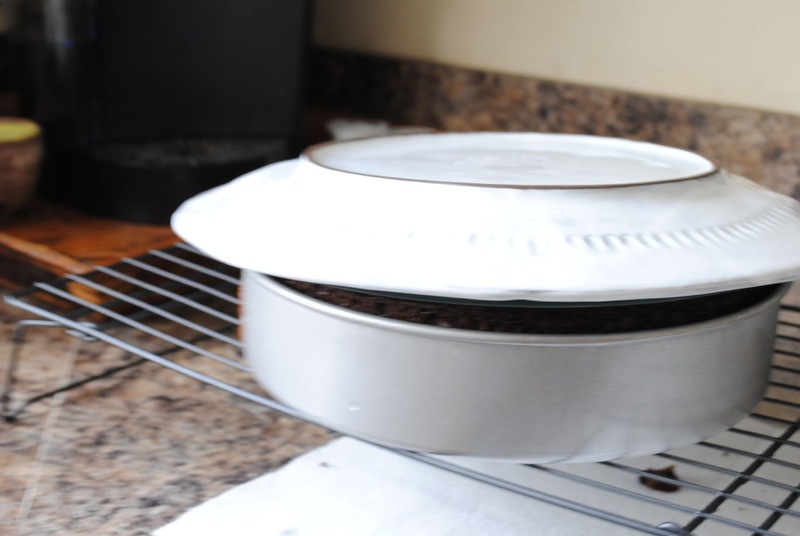 Once they are completely cooled, return one of the cakes to the cake pan. My cake had kind of shrunk up and pulled away from the sides so this wasn't to complicated. 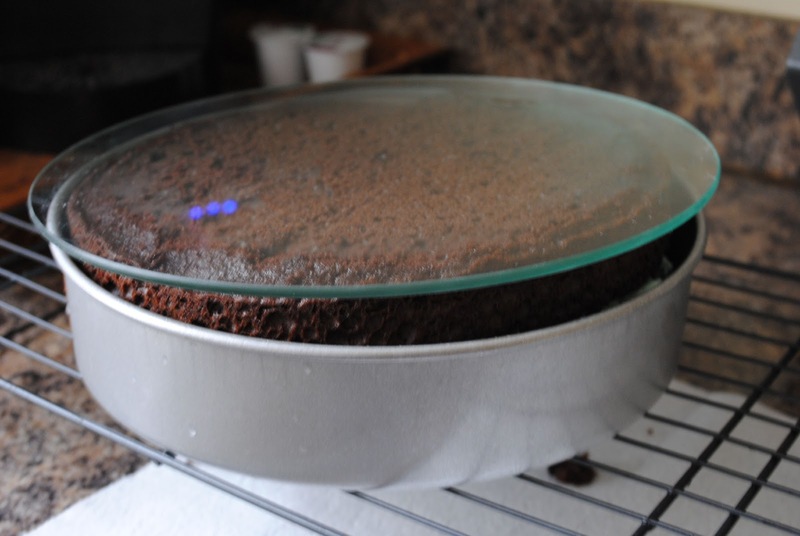 So once you get your cake back in that pan it's time to add the ice cream. 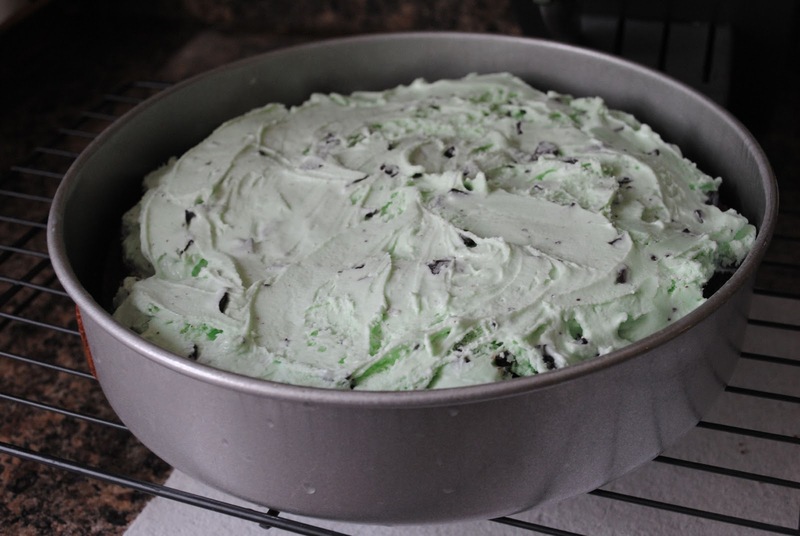 Chickey had requested mint chocolate chip and it's a good thing she did. If she had requested something else, I would have probably just ignored her and done mint chocolate chip anyway. Because that's how I role. So. Take some ice cream and spread it on that cake. I use the term "spread" loosely as ice cream doesn't really spread. I guess I could have let it soften up a little but I figured that would get messy so I just did my best. And used my hands. And pulled little chunks of ice cream out of the carton and filled in the holes. All of this with clean hands, of course. OK so up next we are going to put that other layer of cake on that ice cream. And then we are going to get this guy out of those cake pans. What you are going to need is some sort of a surface. I used the bottom of a spring form pan. And then I panicked and added an extra layer of support in the form of a dinner plate. Take a deep breath, set a positive intention and flip. Ta dah! 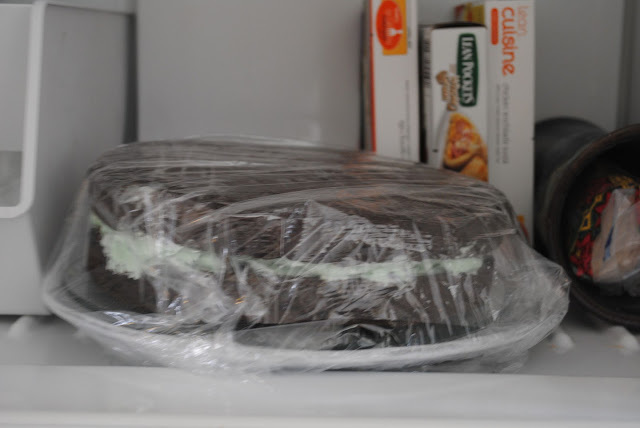 Wrap it up real well with some saran wrap and stick it in the freezer until you are ready to frost it. But alls well that ends well, right (? 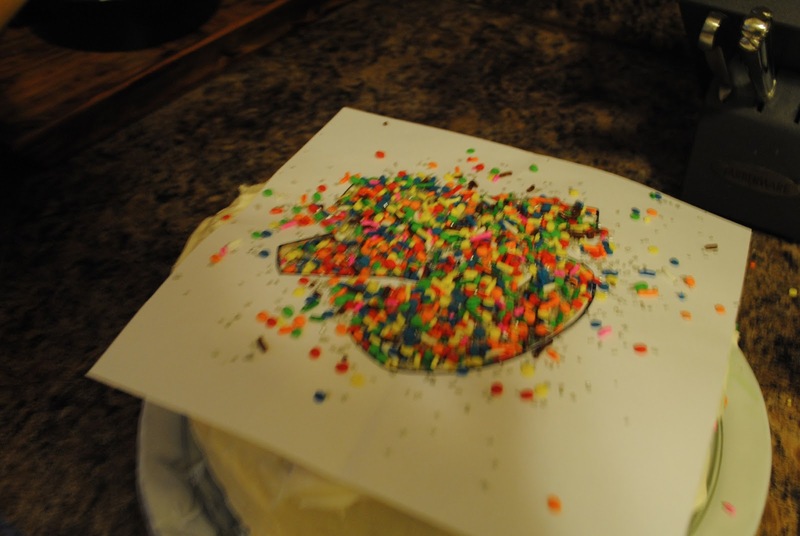 ), and the hot mess sprinkle situation didn't change the taste. So after you've got it all decorated wrap it back up in saran wrap. Stick it in the freezer for a few hours because apparently freezing this frosting makes magic things happen. 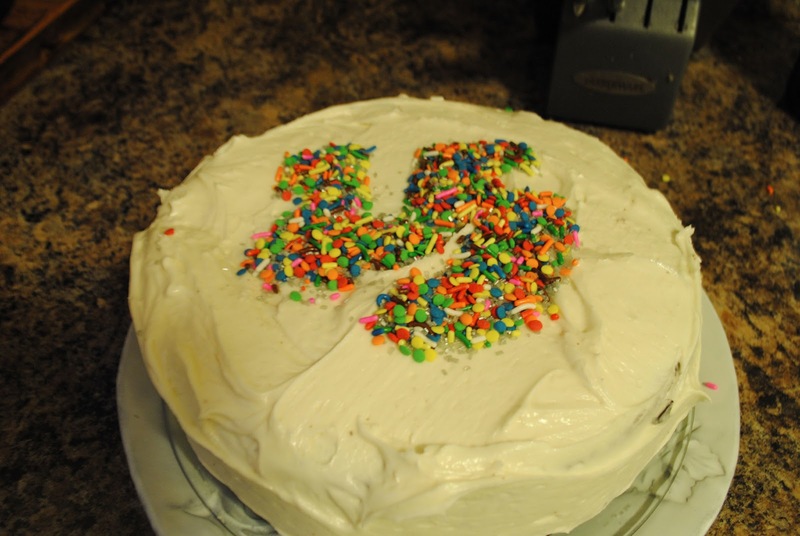 Before, it just tastes like a basic cream cheese frosting. After, it just tastes like magic. And since we're talking about it, here's the recipe! Cream together the butter and cream cheese until light and fluffy. Mix in the vanilla. Add in the powdered sugar 1 cup at a time and combine well. Mix in the ice cream. Slowly add in milk until it reaches the desired consistency. And have a good Monday.